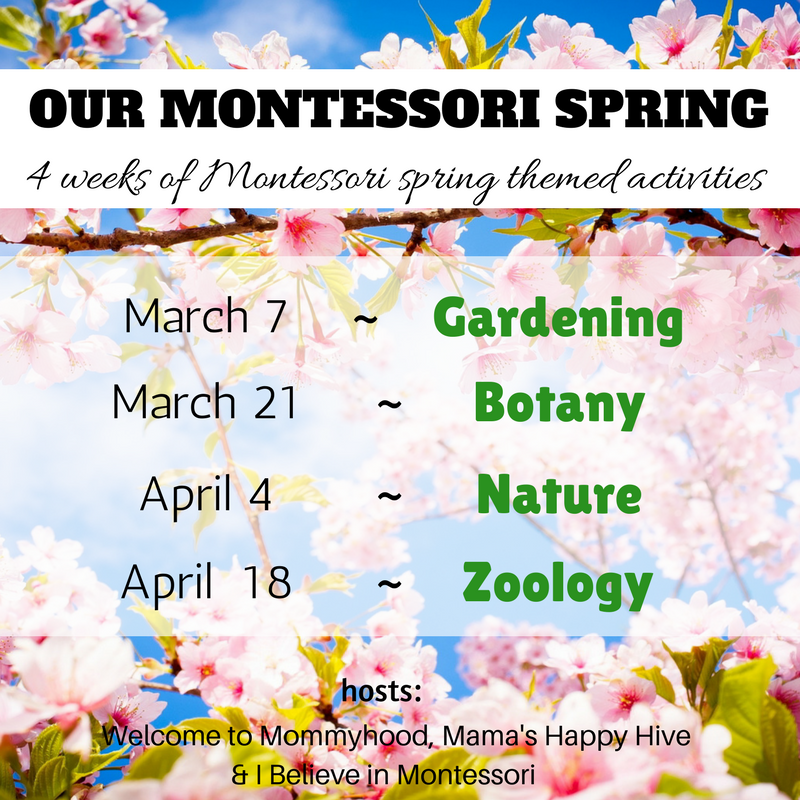 This post is a part of the Montessori Bloggers Network project "Our Montessori Spring". 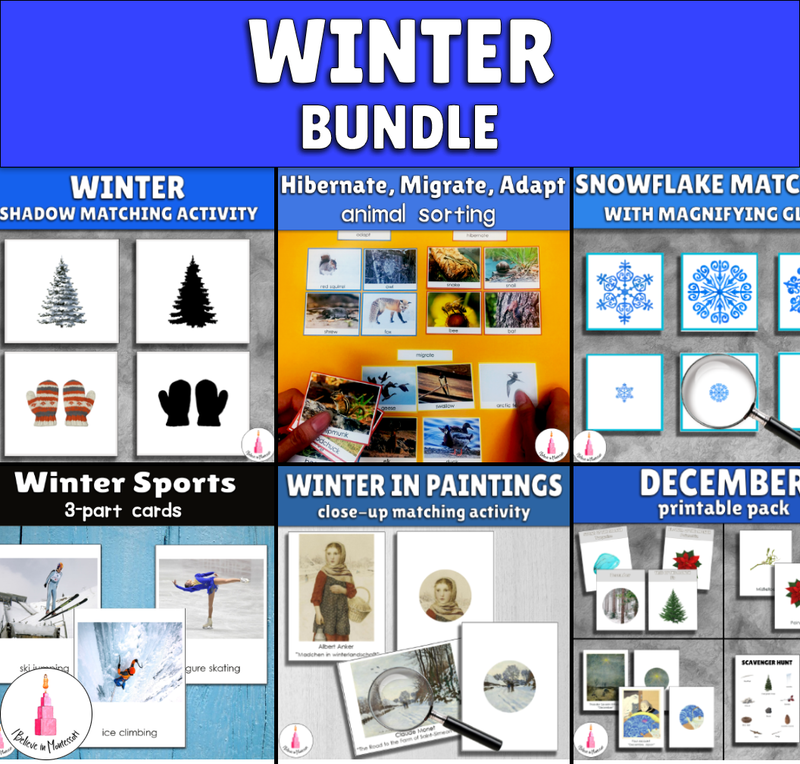 My blogging friends and I collaborated to share with you our seasonal ideas. It is a spring here! 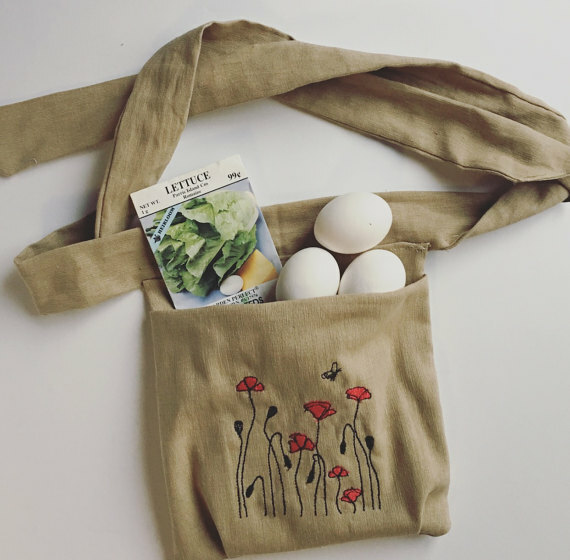 And spring means gardening and growing vegetables and flowers. During every season we look and think how we can diverse our practical life with meaningful activities that will suit that season. 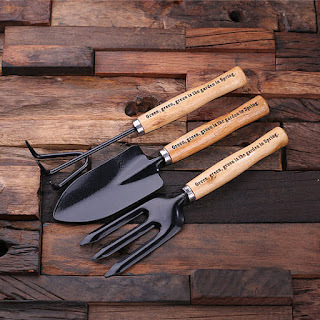 And gardening for spring is just perfect. Even if you don't have a full garden you still can do it while visiting granny or on your balcony. 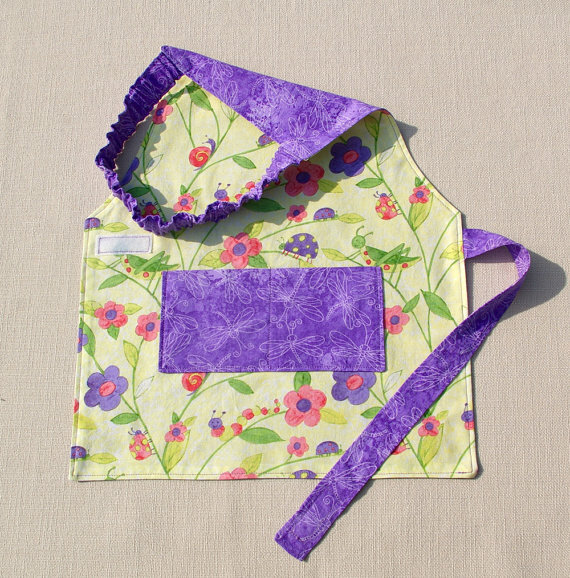 Think about what your child may need to be able to work in the garden by himself. 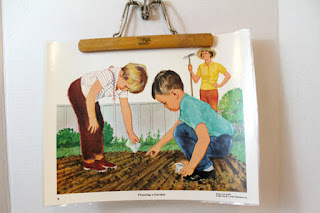 - give him his own area where he will be growing his own plants. You can make a funny sign together that will tell that it is his small garden. - prepare for him his own tools. They should be appropriate and child-sized so he can use them comfortably. 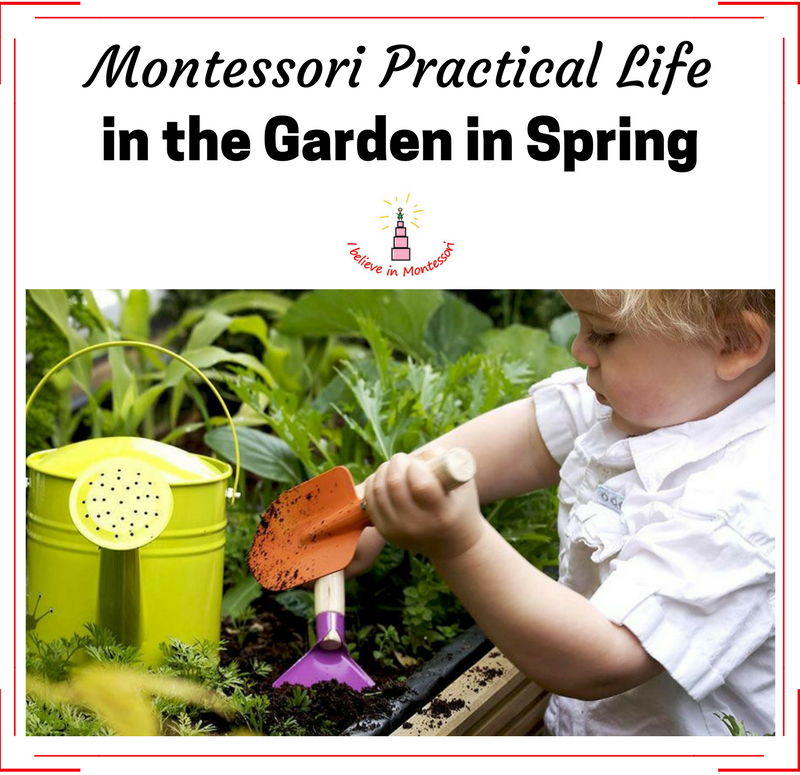 Show the presentations about how to do gardening things as we do with the materials in a Montessori classroom. You can show them one at a time, slowly step by step. You can divide the big process into several small. Think about what lessons he may need to be able to work there without your assistance and present them to him. Give him an ability to explore all these things at his own pace. Even if you think that he is doing nothing and just standing there - he does. He observes you and learns from you how to do it. Be his example. Don't expect that the child will do the things as you do it. Our aim is to make the whole process interesting for him. We don't need him to grow a tomato exactly but we want him to enjoy gardening and to love gardening in future. This tool kit is little and will be perfect for little hands. 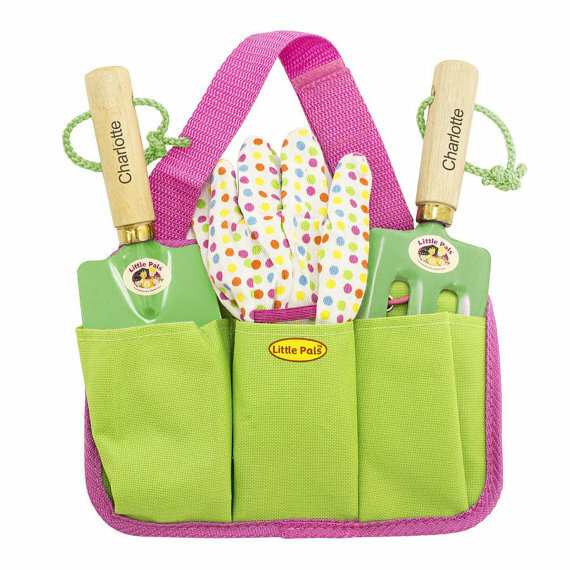 This kit of garden tools also includes a special bag and gloves! 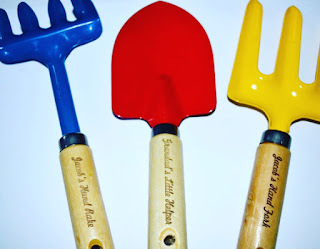 These tools in primary colours look nice! These watering cans are beautiful and can be the wonderful addition to your child's gardening set. This gorgeous gardening poster can be a great wall decoration that will look perfect in your child's room in spring. I hope these things will inspire you! 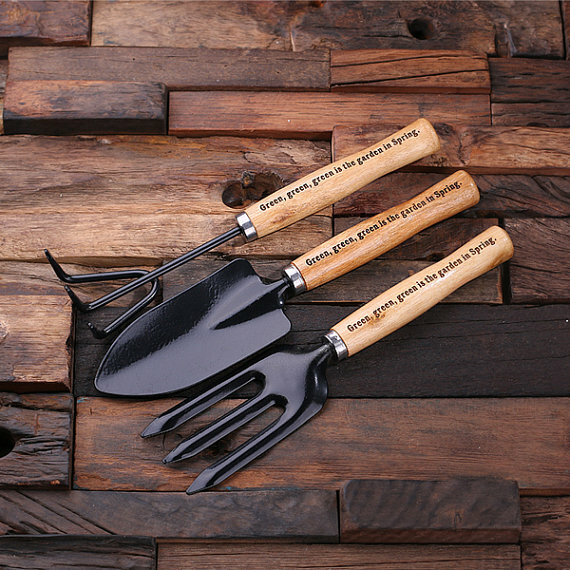 Have a happy gardening! Don't forget to check out other amazing posts about Montessori and spring! I wish you inspiration! 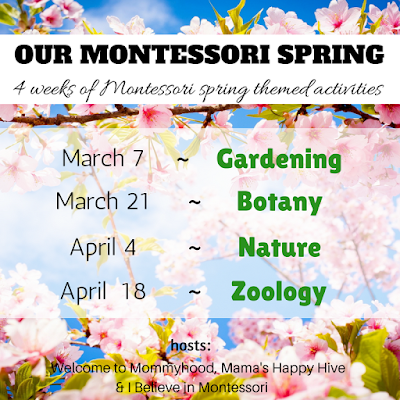 Don't forget to come back on March 21 and read all our botany related posts! This is so cute. It's really great to get young kids to be involved in household work. Sometimes i get my kids to do some cleaning at home too.